Ah, yet another year in which I failed to complete most of the reading challenges and goals I set for myself. That’s fine. There is next year! Hope springs eternal and all that. I’ll do a recap of this year shortly, but I’m blaming my failures on three things: 1) the Doctor, 2) soapmaking, and 3) work. Not precisely in that order, but you get the idea. But I do have some goals in mind for next year, and I have some reading challenges in mind, too. 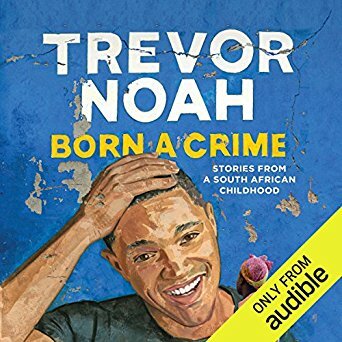 I have tried and failed to read 52 books the last couple of years. I think perhaps that one year I read 50 was a fluke, especially given my current schedule. I have zero commute, so I can’t read books on the way to work anymore. I didn’t realize how much extra reading time that gave me, I guess. My goal for 2014 is a more modest 30 books. I actually did come close to reading 30 books this year, so perhaps reading 30 books is a goal that is within my grasp. 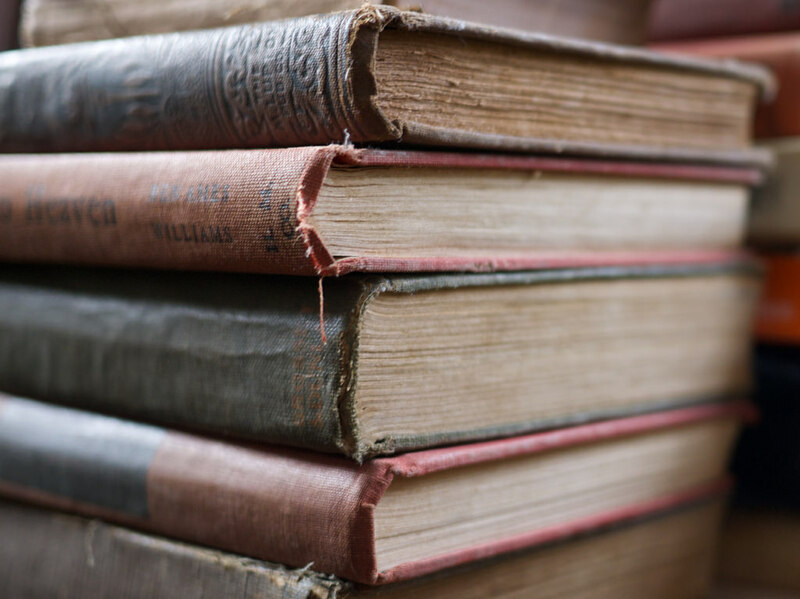 I am all for challenging myself, but I hate the feeling of frustration that comes with falling so short of my goals that I actually give up and don’t read. That really happened to me this year. Stupid, yes. I didn’t say it made sense. I love participating in the Historical Fiction Reading Challenge each year. Historical fiction is one of my favorite genres. I plan to shoot for the Victorian Reader level of five books. 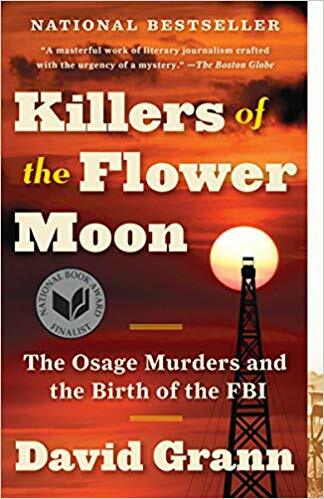 I hope I will read more, and if I do, that’s great, but seeing as one of my other goals is to try to get through some books I’ve been wanting to read for a long time and try to stay on top of new releases better, I don’t want to box myself in too much by taking on a large number in any one genre. 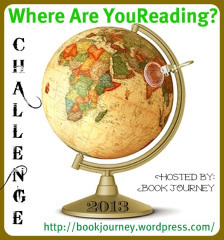 As I have the last couple of years, I also plan to create my reading map and participate in the Where Are You Reading Challenge. Google Maps is more difficult to use with their new interface. I am hoping I don’t have to fight it too much. When they come along, I hope to participate in Carl‘s challenges the Once Upon a Time Challenge and the R.I.P. Challenge. Actually, the R.I.P. Challenge is a must for me every year, but it’s been a while since I did Once Upon a Time. I always like to do something a little different, so this year, I’ll be trying out the Foodies Challenge. I’m not sure what I’ll read yet, but I’ll participate at Short Order Cook level (1-3 books). It might be just what I need to finally read [amazon text=For All the Tea in China&asin=0143118749], [amazon_link id=”0500286965″ target=”_blank” ]The True History of Chocolate[/amazon_link], [amazon_link id=”0393343618″ target=”_blank” ]Extra Virginity: The Sublime and Scandalous World of Olive Oil[/amazon_link], [amazon_link id=”0061288519″ target=”_blank” ]97 Orchard: An Edible History of Five Immigrant Families in One New York Tenement[/amazon_link], or [amazon_link id=”0385340869″ target=”_blank” ]The Cookbook Collector[/amazon_link]. 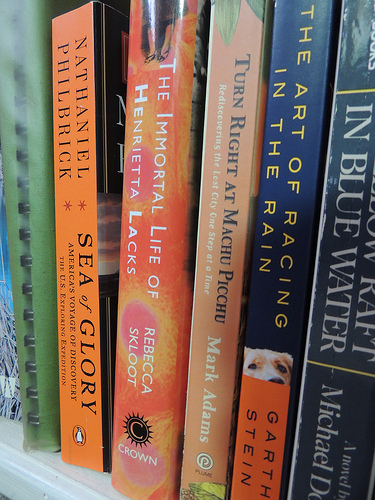 Or maybe I could finish [amazon_link id=”0142001619″ target=”_blank” ]Salt: A World History[/amazon_link]! 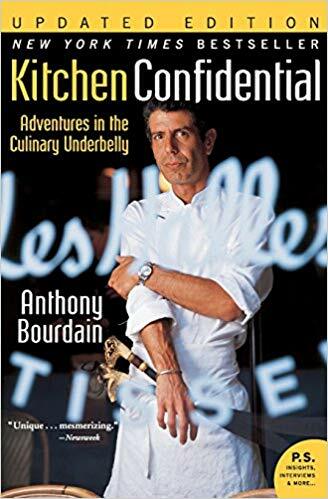 Anyone participating in this challenge looking for a good novel might try [amazon_link id=”B0043RSJQS” target=”_blank” ]The Kitchen Daughter[/amazon_link], which is an excellent foodie read. 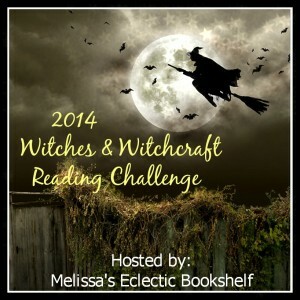 One final challenge: the 2014 Witches & Witchcraft Reading Challenge. I love reading about witches, and I have few books I’ve been meaning to read forever that would be perfect. Perhaps it will even prompt me to pick up [amazon_link id=”0143123629″ target=”_blank” ]Shadow of Night[/amazon_link] (All Souls Trilogy, Bk 2). I’ll go for Initiate level (1-5 Witchy books). We have a goal of visiting Salem again now that we’re so close. For the record, Salem is one the most awesome places to visit. You should try to get there if you can. 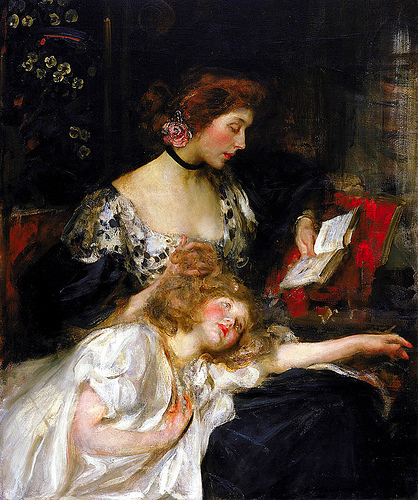 Update, 12/29: Thanks to Iliana, I have discovered the Postal Reading Challenge. I love the idea of focusing on epistolary novels. As I told Iliana, I used to collect stamps as a child, and I already have one book in mind for the challenge A History of Britain in Thirty-six Postage Stamps. I’ll go for the Postcard Level of four books. I hope I can figure out three other books to read. Also thanks to Iliana, by a circuitous route, I found out about the 2014 Book Bingo Reading Challenge. I couldn’t resist that one. Using your reads to play Bingo? I mean, how much fun is that? Sold! So that’s it. I think these are much more reasonable goals. Of course, it must be said one should shoot for the stars and all that, but I’m hoping by setting obtainable goals, I’ll feel less discouraged about my reading this year. I need to preface this post with the admission that 2012 was a wash for me as far as meeting any of my reading goals, including reading challenges. However, I also moved and started a new job, so I have forgiven myself and decided to make 2013 a better reading year. To that end, I’m going to participate in some of my favorite challenges, but I’m not going to stress myself out by taking on more than I can handle, nor am I going to try to host my own challenge this year. Historical Tapestry hosts a Historical Fiction Challenge every year, and 2013 is no exception. 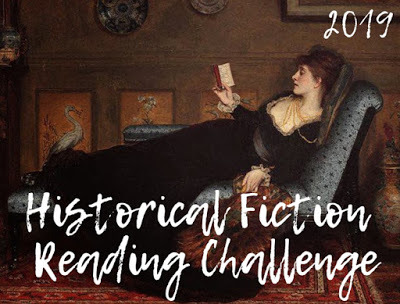 As historical fiction is one of my favorite genres, I don’t need much prodding to participate in this challenge. I want to be more active this year, however. 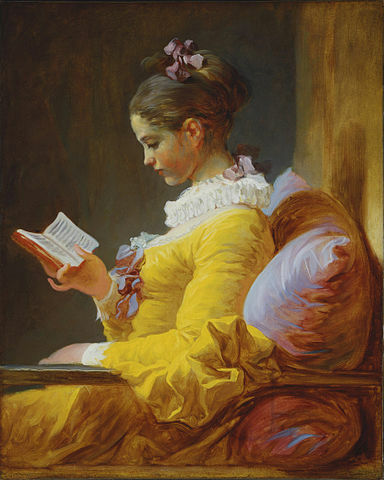 I plan to participate at the Renaissance Reader level of 10 books, but I will perhaps read more than that. Carl‘s R.I.P. Challenge is usually announced later, and I always participate in that challenge as well. I may also participate in his Once Upon a Time Challenge this year, too, as I plan to read a bit more fantasy in 2013. As of right now, I haven’t seen any Jane Austen reading challenges out there, but I plan to re-read [amazon asin=0674049160&text=Pride and Prejudice], starting on the 200th anniversary of its publication and will be trying some other Austen-related books. 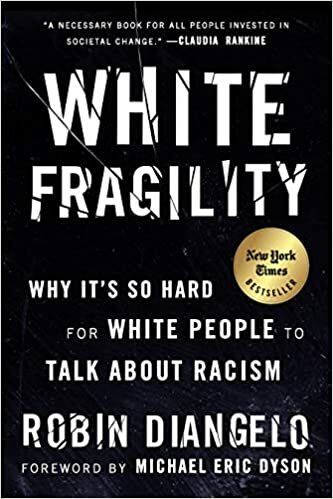 Once again, I will also participate in the Where are You Reading Challenge. I love creating Google Maps of my reading progress and seeing patterns in the places where the novels I read are set. This challenge has no set number of books. I simply need to remember to create a Google Map pin for each book I read. Another challenge? 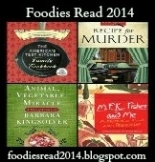 Make new soap recipes based on my favorite 5-star reads in 2013. I figure that’s doable because not every book will be 5 stars, and I love making soap. In fact, it may this new hobby prevented me from reading perhaps 10 of the books I intended to read this year. But I don’t regret it at all. Another goal I have is to read 50 books, a goal I failed to achieve this year. I came close in 2011, though 50 was not my goal that year. I barely made it to half 50 books this year. I think I can do it if I dedicate myself to the task. Finally, I would like to blog more. I didn’t blog as much here or anywhere this year. I fell desperately behind in my own feed reader. I think perhaps I should use some of my time off to figure out how to follow the blogs I enjoy a little better and leave more regular comments, too. What do you have in mind for your next year of reading? I didn’t set any reading goals last year. In 2007 I read only 14 books in the whole year, and I think seeing other folks’ reading totals coupled with the morbid realization that I don’t have an infinite amount of time to read all the books I’d like to made me want to step up the number of books I read. I did better in 2008 at 23 books, and in 2009 I read 29. In 2010 I read 40 books. In the interests of improving each year, I hope to read 50 books in 2011. 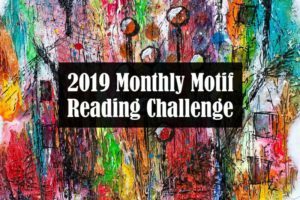 I can’t say for certain I am done signing up for challenges because some of them run later in the year, and as you can see, many of the challenges are similar enough that I can count books for more than one challenge. 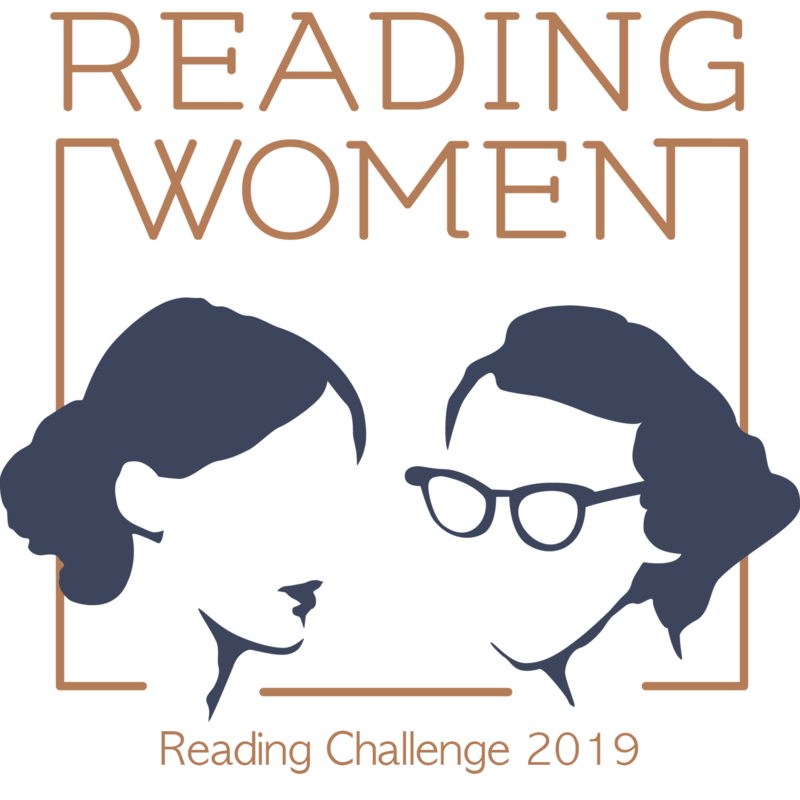 I like reading challenges because it’s a way of feeling like a part of a reading community or book club of sorts. I will be signing up for Carl’s challenges when they occur later this year for sure. In terms of blogging, I want to improve my posts by tagging them better. I often forget tags. 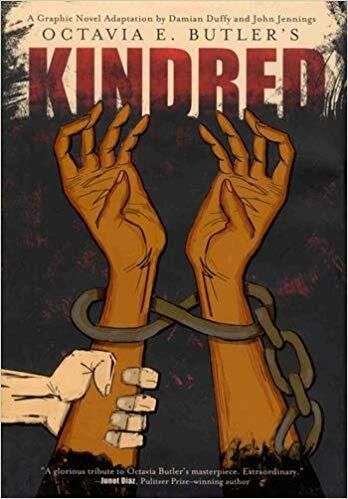 For instance, I like to tag all the books I read on my Kindle with my Kindle tag, but when I went through some older posts, I missed tagging probably five or six books. It doesn’t make my blog as user-friendly as I’d like when I don’t tag properly. Also, I want to begin including author names in my book review blog post titles. I haven’t been in the habit of doing that, and it might be helpful for readers. I would also like to maintain my regular posting schedule as much as possible. I have finished my master’s now, so I hope I’ll have more time for reading and blogging. I would like to become more involved in the reading blogger community. 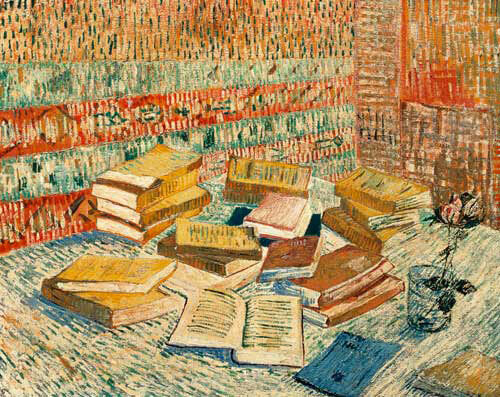 Do you have any reading goals? Participating in any challenges you want to share?